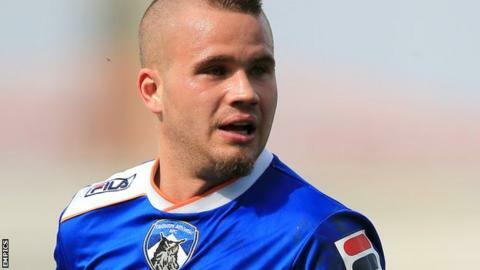 Midfielder James Wesolowski, goalkeeper Paul Rachubka and full-back Connor Brown have been offered new contracts by League One side Oldham Athletic. The club have also taken up one-year options on James Wilson, David Mellor, Genseric Kusunga and Carl Winchester, meaning they will stay next season. But Charlie MacDonald, Kirk Millar, Danny Gosset and Terry Dunfield have all been released. And defender Jonathan Grounds is also departing after talks with other clubs. Wesolowski, 26, has been with Oldham for three seasons and was named as the club's player of the season as the Latics finished 15th in League One.